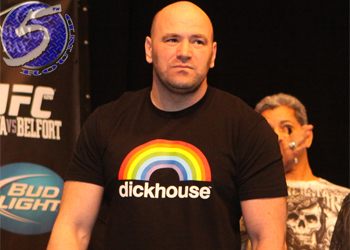 With Saturday’s watershed purchase of Strikeforce, UFC president Dana White solidified his company’s standing as the world’s premier mixed martial arts promotion. While the shocking announcement may have come from left field, Octagon brass couldn’t be more pleased with the #WINNING situation they’re currently in. There were plenty of questions to be answered following the controversial acquisition, and White did his best to fill in the gaps as vaguely as he could. If Charlie Sheen has become synonymous with the Twitter hashtag #WINNING, among countless other gems, White will be known for coining #BusinessAsUsual. That’s because the brash promoter won’t be able to completely get his hands on Strikeforce until their broadcasting contract with Showtime expires in roughly two years. In the meantime, White will be masterminding the inevitable collapse of Strikeforce (Please see: WEC Merger) and creation of the biggest and baddest MMA show on earth.